The following page contains links to sites which I felt would be helpful for today's musicians. This is but a small compilation of some of the abundant resources available. In order to keep this page as concise as possible I decided to only include music schools that automatically awarded all of it's students full academic tuition. This list of five schools is possibly one of the least expansive parts of this page, as there are dozens of other well established institutions which, only by the reason stated before did not make this list . I encourage students looking for prospective music schools to not only consider this list, but to also look past it to all the possibilities that lie just beyond it. The Yale School of Music, a graduate professional school within Yale University, is a worldwide leader in educating the creative musicians and cultural leaders of tomorrow. It is the only school of music in the Ivy League. The School of Music maintains a highly selective admission process, admitting approximately 200 students who come from the finest American and international conservatories and universities to study with our distinguished faculty. The YSM offers full academic scholarship plus stipends to all admitted to its program. The Conservatory at Lynn University is a small and intimate school with just over one-hundred students in the areas of orchestral, piano and compositional studies. Although this school may be unknown to some because of its location and size, it is staffed with some of the leading teachers and performers of today. Some notable faculty are Kenneth Amis of the Empire Brass, Jeff Khaner, principal flute of the Philadelphia Orchestra, and Timothy Cobb, principal bass of the New York Philharmonic. Lynn University offers a full scholarship to all students who are accepted to its program. Founded in 1975, The Shepherd School of Music at Rice University in Houston, Texas is one of the nation’s youngest major university level music programs. In less than forty years, it has become one of the most prominent music schools in the country, attracting an international student body of 300 music majors. Our illustrious faculty of artist-teachers is dedicated to the highest possible cultivation of the talents and skills of each individual student. The Shepherd School of Music offers full academic scholarship to all admitted to its program (2016). 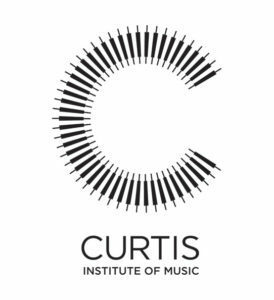 Drawing upon 90 years of artistry, the Curtis Institute of Music pairs tradition and innovation, educating exceptionally gifted young musicians as artist-citizens who engage a local and global community through music-making of the highest caliber. 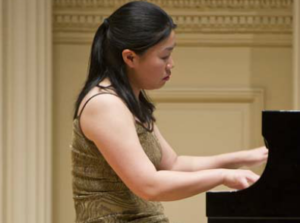 The Curtis Institute of Music offers full academic scholarship to all admitted to its program. The Colburn School provides the highest quality performing arts education at all levels of development in an optimal learning environment. The school serves the community by presenting its students, faculty, and guest artists in more than 300 concerts each year, many of which are free. Additionally, Colburn's outreach programs reach approximately 15,000 underserved children in the community each year. 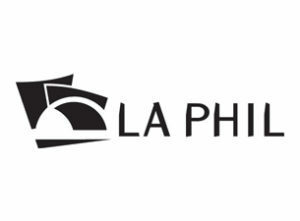 The Colburn School offers full academic scholarship to all admitted to its program (2016). Since 1919, young artists have sought membership in the Civic Orchestra of Chicago to develop their talents and to further prepare for careers as professional musicians. 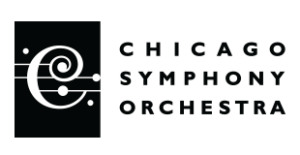 Founded by Frederick Stock, second music director of the Chicago Symphony Orchestra, the Civic Orchestra is the only training orchestra of its kind affiliated with a major American orchestra. Founded in 2015, The Orchestra Now is an innovative training orchestra and master’s degree program at Bard College that is preparing a new generation of musicians to break down barriers between modern audiences and great orchestral music of the past and present. Under the leadership of conductor, educator, and music historian Leon Botstein, TŌN mines the wealth of underperformed repertoire, reimagines traditional concert formats, and strives to make the experience of the performers a part of the listeners’ experience. At a TŌN concert, musicians and audience inspire one another, each following their curiosity with a shared sense of adventure. he New World Symphony, America’s Orchestral Academy (NWS), prepares graduates of distinguished music programs for leadership roles in professional orchestras and ensembles. In the 28 years since its co-founding by Artistic Director Michael Tilson Thomas and Lin and Ted Arison, NWS has helped launch the careers of more than 1000 alumni worldwide. A laboratory for the way music is taught, presented and experienced, the New World Symphony consists of 87 young musicians who are granted fellowships lasting up to three years. The fellowship program offers in-depth exposure to traditional and modern repertoire, professional development training and personalized experiences working with leading guest conductors, soloists and visiting faculty. Relationships with these artists are extended through NWS’ extensive distance learning via the internet. A summer studying music at Chautauqua Institution's Music Festival is like no other educational experience. More than any other place in the world, Chautauqua blends music, dance, theater, visual arts, opera, a distinguished lecture platform, leisure activities and religion for a wonderfully diverse public. The Round Top Festival Institute offers six weeks of intensive training for young talented musicians seeking a transition from conservatories and universities into a proffesional career in music. Brevard's hallmark is the powerful sense of community that re-emerges every June as faculty and students work together to present over 80 concerts, encompassing multiple music genres, to more than 30,000 enthusiastic fans from across the country. Over the years, BMC has been privileged to welcome world-class soloists including Itzhak Perlman, Yo-Yo Ma, Joshua Bell, Frederica Von Stade, and other talented virtuosi. 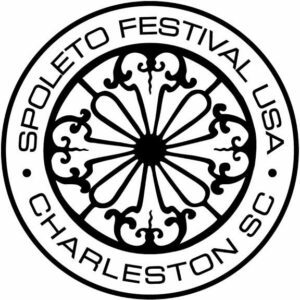 For 17 days and nights each spring, Spoleto Festival USA fills Charleston, South Carolina’s historic theaters, churches, and outdoor spaces with performances by renowned artists as well as emerging performers in opera; theater; dance; and chamber, symphonic, choral, and jazz music. Now approaching its 40th season, Spoleto Festival USA is internationally recognized as America’s premier performing arts festival. All fellows admitted to Spoleto Festival USA receive full tuition plus compensation. For three weeks each June, internationally recognized guest artists and student musicians come together in Florida to study and perform chamber music. The Sarasota Music Festival is a magical combination of youthful promise and acclaimed talent that carries a reputation as one of the finest classical-music events in the nation. 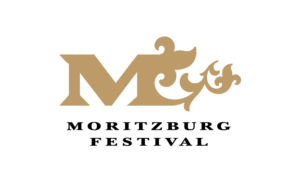 Marlboro Music is widely acclaimed as the world’s foremost center for leadership training in music. For seven weeks each summer, exceptional young musicians and master artists come together to form a closely-knit family on the campus of Marlboro College, in the foothills of rural southern Vermont. The Music Academy of the West is a music conservatory located in Montecito, California near Santa Barbara, California. Every year, it hosts an eight-week summer music festival for the community highlighted by concerts and workshops directed by famous composers, conductors, and artists. 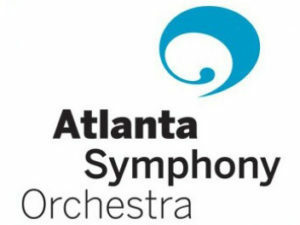 Its vocal program has been directed by Marilyn Horne since 1997. The festival hosts 140 pre-professional musicians annually, all of whom receive merit-based full scholarships. Programs of study include Vocal Piano, Voice, Collaborative Piano, Solo Piano, and Instrumental. For the past 30 years, Music in the Mountains has produced an exceptional summer music festival with musicians of the highest caliber. We have entertained, educated and delighted audiences with the richness of classical music, and complemented concerts with year-round educational programs for youth. The Grand Teton Music Festival has celebrated the awe-inspiring community of Jackson Hole with exhilarating music since 1962. 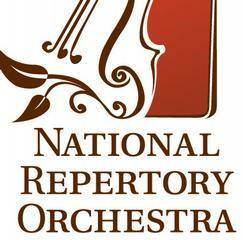 At the core of this celebration is our seven-week classical music Festival held each summer. Prestigious soloists and musicians from renowned orchestras flock to stunning Jackson Hole for our Festival to renew their artistic inspiration and share their talents and passion with the local community. Since 2006 internationally acclaimed Maestro Donald Runnicles has led our Festival as the Music Director, and helped our orchestra reach new heights. 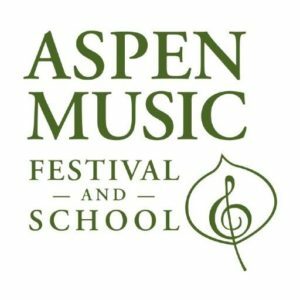 Founded in 1949, the Aspen Music Festival and School is regarded as one of the top classical music festivals in the United States, noted both for its concert programming and its musical training of mostly young-adult music students. 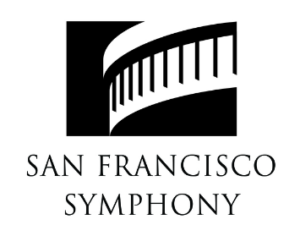 The typical eight-week summer season includes more than 300 classical music events, including concerts by five orchestras, solo and chamber music performances, fully staged opera productions, master classes, lectures, and children’s programming. The mission of Music from Angel Fire is to share the experience of chamber music throughout northern New Mexico by presenting intimate performances and educational outreach by exceptional young artists and world class musicians. With legendary cellist Pablo Casals as honorary president, the Festival’s 1973 inaugural season hosted 14 artists performing six Sunday concerts in Santa Fe and additional appearances in other New Mexico and Arizona communities. Today, under the spirited artistic leadership of composer/pianist Marc Neikrug, the Festival invites scores of distinguished musicians, along with emerging young talent, during its 6-week season. Thousands of enthusiastic patrons young and old return year after year to enjoy the more than 80 concerts, recitals, master classes, youth concerts, and open rehearsals, including an Albuquerque Series that made its debut in 2008. In addition, in the off-season, the Festival reaches out to young people in Santa Fe schools with innovative and inspiring musical adventures. YOA IS A WORLD-CLASS SYMPHONY ORCHESTRA of gifted young musicians, ages 18 to 30, representing 25 countries in the Western Hemisphere. YOA’s mission is to empower young musical leaders to transform lives across the Americas and beyond. YOA brings renowned artists— from Yo-Yo Ma to Valery Gergiev, from Plácido Domingo to Philip Glass— into the lives of young musicians, and diverse audiences. Domaine Forget is first and foremost the Academy of Music and Dance for young talent, recognized internationally for the high quality of its teaching. Every summer since 1978, hundreds of students hone their skills under distinguished masters. Domaine Forget is also the summer-long International Music Festival, offering some thirty concerts (classical, jazz, new music, and dance), about twenty master classes open to the public, Academy concerts and recitals, and a dozen musical brunches. Over the last 30 years, Domaine Forget has welcomed approximately 12,000 students and presented more than 750 concerts, as well as 55 art exhibitions. 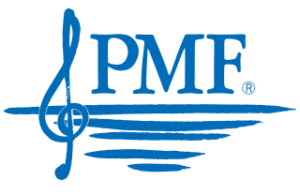 The Pacific Music Festival (PMF) is an international educational music festival founded in Sapporo in 1990 by leading 20th century conductor and composer Leonard Bernstein. Now a quarter century on, a cumulative total of over 3,200 excellent musicians have taken part. AIMS provides a unique opportunity for experienced instrumentalists to perform with a professional-level orchestra under the direction of internationally acclaimed European conductors. As a one-of-a-kind training experience, the program maintains the highest musical standards and provides an exciting and rewarding educational experience. For many players, AIMS serves as excellent preparation for professional auditions and can serve as a starting point for auditioning in Europe. 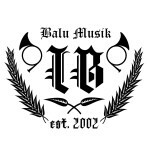 Instrumentalists from all countries are welcome to audition for AIMS. Since its inception in 1986, the Schleswig-Holstein Musik Festival (SHMF) has been among the most spectacular international cultural events in the world. Instead of renowned concerts taking place in the usual concert halls and opera houses, they are set in beautiful castles and manors, in barns and stalls, in the most spectacular churches of Schleswig-Holstein and even in unusual locations such as shipyards and industrial halls. From 1996 to 2013, the artistic concept of the SHMF was to select a feature country for each year and highlight its music and culture. The Verbier Festival is an international music festival that takes place annually for two weeks in late July and early August in the mountain resort of Verbier, Switzerland. Founded by Swedish expatriate Martin T. Son Engström in 1994, it has attracted international soloists such as Piotr Anderszewski, Leif Ove Andsnes, Martha Argerich, Lera Auerbach, Emanuel Ax, Hilary Hahn, Leonidas Kavakos, Evgeny Kissin, Lang Lang, Mischa Maisky, Lawrence Power, Thomas Quasthoff, Julian Rachlin, Anoushka Shankar, Bryn Terfel, Daniil Trifonov, Yuja Wang, Khatia Buniatishvili and Julian Lloyd Webber. 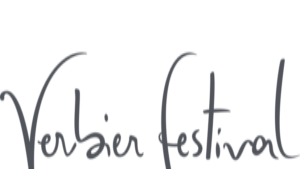 The Verbier Festival is also nurturing young musicians with its Academy and three orchestras: the Verbier Festival Orchestra, the Verbier Festival Chamber Orchestra and the Verbier Festival Junior Orchestra (formerly known as the Verbier Festival Music Camp Orchestra). Located in Saxony’s unspoiled rural landscape, Moritzburg Castle today welcomes one of the world’s most prestigious chamber music festivals. 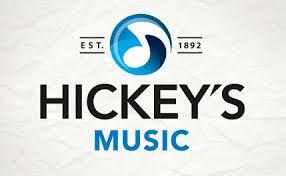 Hickey's Music Center, founded in 1892, is located in Ithaca, New York amongst the Finger Lakes. They are a full line music service company specializing in the print music of all publishers, band, orchestral &amp; popular instruments. This is a great place to start your musical search whenever looking for a new piece of music. WindSong Press Limited was formed in 1996 by Brian Frederiksen for the publishing of Arnold Jacobs: Song and Wind. This is THE SITE for all things Arnold Jacobs. This is one of my favorite sites. Ovation Music is the official publisher and site for the music, and arrangements of Øystein Baadvik, Joseph Alessi and Jim Self. 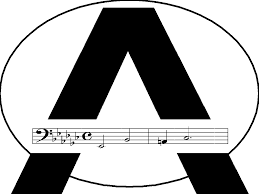 Amis Musical Circle is a classical music publishing company that provides you with quality arrangements, transcriptions and compositions prepared by Kenneth Amis, tuba player of the world renowned Empire Brass Quintet. 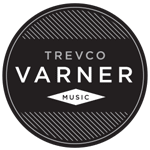 TrevCo Varner Music is the "World's Foremost Purveyor of Fine Sheet Music for Double Reeds", with over 12,000 titles in stock. Owned and operated by bassoonist, teacher, and arranged, Eric Van der Veer Varner, TVM is the one place to shop for oboe, oboe d'amore, English horn, bassoon, and contrabassoon; solo, with piano, or in any combination with other instruments. TVM carries a complete stock of solo and chamber music incorporating the double reed family, as well as books, methods, orchestra sets, scores, DVDs, and more. Dillon Music was incorporated in 1992 and has quickly become one of the foremost leaders in the music industry. I am a big fan of Dillon Music. I purchase all of my cleaning supplies, valve oils and the two mouthpieces I currently play on from them (AT3U, AT7U). Their prices are very competitive and their customer service is always on point. Don't hesitate to call them if you have any general questions. All-County Music is quite possibly one of the top instrument repair shops in the country. I have been taking all of my tubas here for several years, and I have never been disappointed, or dissatisfied. Mark Adams can do anything from the simple to the more complex instrument modifications. If you are fortunate enough to live near Tamarac, Florida, do yourself a favor and go give them a visit. 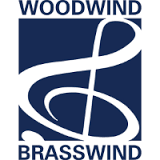 Woodwind and Brasswind is a great online store to purchase accessories, supplies and even musical instruments at a great price. One of the best stores to purchase tubas from. 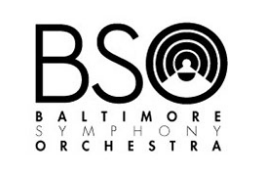 Very knowledgeable staff led by retired Baltimore Symphony tubist David Fedderly. Home of the The BBC Tuba Rest stand, a wide selection of mouthpieces, and much more! They also offer the option to try out mouthpieces before you buy, which is something that not a lot of other shops offer. The Horn Guys is a brass instrument specialty company located in Southern California. 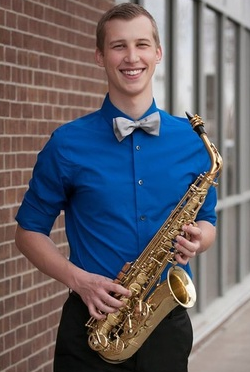 Founded by Steve Ferguson in 2000, our goal was to improve the quality of the musical instrument retail environment with specialization in brass instruments and accessories for the high-end enthusiast market. We felt that through effective design, product availability, sales support, and technical service, many local musicians could be best satisfied without having to resort to faceless mail order shops. 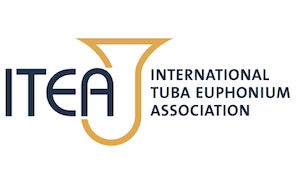 The Tuba Exchange is a unique clearinghouse for new and used tubas, euphoniums and sousaphones. The company goes back to the mid 1980's, and in 2011, the business was purchased by Luc &amp; Betty Kerkhof-Black. It is the goal of the new owners to carry on the tradition of serving their customers with a wide variety of reasonably priced instruments, offering top notch customer service. I've owned my 6/4 York copy by Mr. Nirschl for just over a year and I am till finding new things about it that I love everyday. Ordering one of these instruments is as easy as sending Walter an email. After initial contact has been made, he will follow up with directions on how to proceed. There is a varying lead time (production time) as all of these tubas are handmade. In my case, he estimated a lead time of 7 months, but only took five to complete. This of course is variant on how busy he is with other orders and projects. 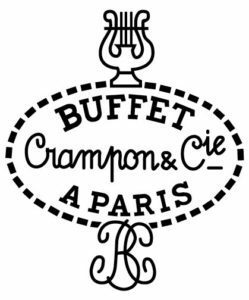 The Buffet Crampon is not only a leading instrument manufacturing and design company, but it is also the mother company to many of the leading names in the musical instrument world, such names include Besson, B&amp;S, Antoine Courtois, Hans Hoyer and Melton Meinl Weston to name a few. The Buffet Group instruments were developed several centuries ago, around exceptional instrument-making know-how. This heritage remains the security of recognition of our manufacturing «Made in France» and «Made in Germany». Our know-how is complex and precious because it took a long time to acquire, and humanly ambitious to pass on. In our Group, we frequently measure the length of training in years. This means recruiting young apprentices empassioned by the instrument-making trade, to give ourselves the means of transmitting the taste for this exceptional work to them, and to make them work with the veterans in order that, little by little, they are able to acquire and nurture the spark of the training they receive. Our know-how allows us to forge the identity and the memory of all our instruments. And so for nearly 200 years, musicians have continued to find, in our nine brands, excellence and passion for music. In a collusive and intuitive dialogue with the most renowned artistes, the Buffet Group’s ambition is to combine tradition and modernisation, know-how and creation, history and innovation, in order to offer instruments of reference. 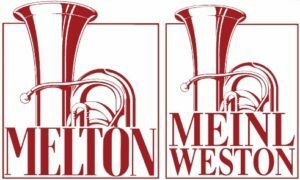 Melton Meinl Weston tubas have been the benchmark of German craftsmanship for decades. For 7 generations, the Meinl-Langhammer family devoted their work to gain the best manufacturing experience, meticulous workmanship, continuous research and development as well as personal dedication to quality. In my opinion Meinl Weston tubas are some of the best instruments on the market right now. Regardless if you are getting one of their hand made tubas or a production instrument, the craftsmanship and consistency from instrument to instrument is simply remarkable. 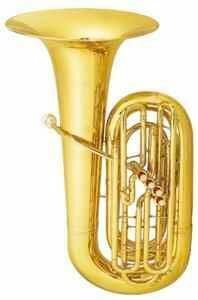 I have owned two MW tubas, the 5450 "Thor" and my current F tuba, the 2250TL "French Touch". Both of these tubas alongside the many others that I have tried exemplifies the sound, timber, color and intonation that every tuba should have. This link is great to see the wide selection of tubas that MW offers. If you are looking to purchase a tuba, I would recommend purchasing it through Baltimore Brass, Dillon Music, or WWBW to name a few. Remember that it is ALWAYS a good idea to try any instrument you are looking to get before writing that check! Besson is a manufacturer of brass musical instruments. It is owned by Buffet Crampon, which bought Besson in 2006 from The Music Group. The company was formed in 1837 by Gustave Auguste Besson, who at the age of 18 produced a revolutionary design of cornet which surpassed all contemporary models, his products quickly gained a great reputation throughout Europe. In 1857, he moved to England where he built a large factory in London from which his instruments took a share of the English market and from where he exported to many countries including the USA. The modern company produces a range of cornets, tenor horns, euphoniums, tubas, French horns and baritone horns. 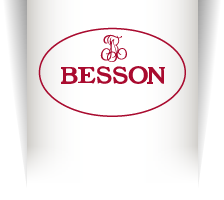 In its history, Besson also produced a number of other brass instruments, including a huge 'triple' B♭ tuba. Home of B&amp;S instruments, Perantucci Mouthpieces, Hirsbrunner Tubas and more. Based in Ferndale, MI and comprised of four departments, Tuba World, Flutes Universal, Bassoon World, and Kori Percussion. 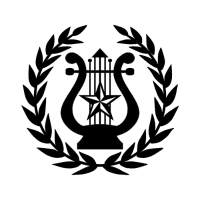 Custom Music International provides a wide array of instruments, equipment and accessories from around the world for musicians of all backgrounds. We also provide a full service, sales, and support staff for all of our instruments to ensure your complete satisfaction before, during and after the sale. We provide musicians of all levels, from beginning student to working professional, with superior quality instruments by the world’s leading manufacturers. We also develop our own lines of top quality, inexpensive student and professional instruments developed with the help of some of the world’s finest musicians, educators, and instrument designers. Net Instruments is a global musical instruments marketplace. Musical instruments for sale and wanted are listed by the musician community. Great place to sell old equipment and to purchase new ones. 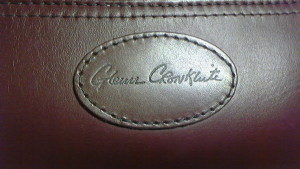 Glenn Cronkhite, in my personal opinion makes some of the finest gig bags on the market today. I have owned two of his bags, not only are they built beautifully, but they are also built to last. More expensive than other brands, but far superior craftsmanship. Altieri Instrument Bags is a couture workshop based in Denver, Colorado USA. For the past 30 years Altieri has been creating custom bags that combine the best materials with original designs that protect the instruments of musicians on the go. Drawing from science and engineering, Martin A. Wilks has made dramatic contributions to the art of making music. His MAW Valve is one of the most significant innovations in piston valves in more than a century. I have a set of MAW valves installed on my 6/4 Nirschl and they work. Notes slot more easily, horn blows more freely and those bumps in the sound that are common in piston instruments have disappeared. Lois Paunger is the mastermind behind the infamous tuba belt. The Paunger belt is a great alternative to harnesses which constrict your breathing and limit your mobility. The belt has a hook on it that allows for your tuba to be hooked onto it for those times when you need...or want to play standing up. Very cool and stylish too! Home of the famous Balu mutes. I own the XL wooden Balu mute, and I love it! Great look and even better intonation. A recent addition to his line of mutes is the Sputnik mute. Although I have yet to try it for myself, I have heard it played by Mike Roylance and it sounded fantastic. If you are in the market for a mute, Balu mutes are the way to go! This is a great store located in MA, to purchase mostly all things trumpet from a knowledgable trumpet player. They carry everything from instrument to cases to mutes, truly a top notch shop! "Austin Custom Brass has been a lifelong dream of mine. Having been dealing in retail sales since I was 14 I've always wanted to open my own business. In 1998 I had my first taste of the music industry. I was very fortunate to learn a lot about the business by working at Osmun Brass. At Osmun I got my feet wet in a crazy world. It was an exciting time for me and I enjoyed my time there. It also began my obsession with equipment and constant tinkering/modification." The Warburton company manufactures a complete line of mouthpieces for Trumpet, Flugelhorn, Piccolo Trumpet, Cornet, French Horn, Trombone, and Tuba. In addition to its famous mouthpiece line, Terry is also the mastermind behind the P.E.T.E, woody mutes, his new line of instruments, and a whole bunch more. I played on his V8 mouthpiece model for a few years and absolutely loved it! Terry also makes mouthpieces, or rims from a material he calls 'Warbonite'. This is an anti-allergenic material that plays and responds very similar to a traditional brass mouthpiece. 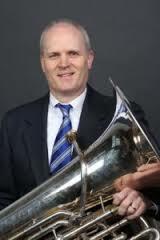 If you or someone you know suffers from allergies related to brass playing contact Terry immediately. 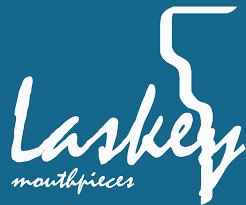 Another leading mouthpiece maker of today is Scott Laskey of Laskey Mouthpieces. His mouthpieces are played everywhere, and they are simply phenomenal. I played a few of his mouthpieces over the years (30H, 28H, 28C) and loved them. If you are looking for a mouthpiece that has proven itself time and time again, you won't go wrong with getting yourself a Laskey. Your one-stop-shop for lexan mouthpieces, surgical stainless steel mouthpieces and more. Mouthpieces made in USA. Great place to purchase instruments, Stofer Signature Line mouthpieces, Schlipf Mutes, Humes &amp; Berg Products as well as being a leading instrument repairman. Mr. Stofer also offers mouthpiece restoration and case repair. Here you will gain insight into Kenneth Amis' compositions, transcriptions &amp; arrangements, performances, teaching affiliations and other professional activities. This man has changed my life time and time again. Doing great things, and aspiring to greater heights when around him is almost common place. His professionalism, demeanor and pure brilliance are infectious. Studying with him opens your mind to other possibilities. Just being a good musician is not enough anymore; he capitalizes on that fact by expanding his student's thoughts far beyond the traditional, creating not only great musicians, but also music innovators. You will not find another tubist quite like ms. Kukieza. 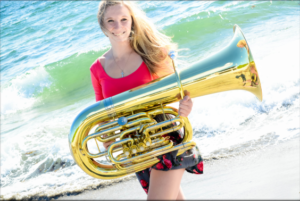 Third degree black belt, tubist and educator Nicole Kukieza packs quite the punch. Her new commissions of "All My Life" is a world class example of how music can be incorporated into other art forms. "We often forget that martial arts are in fact an art form, similar to music. Every pattern has a rhythm to it, and "All My Life" explores the different rhythms and meanings of the patterns" Nicole Kukieza. 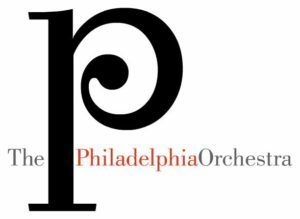 Here you will find everything you need to stay up to date with Philadelphia Orchestra tubist, Carol Jantsch and "the world's greatest tuba cover band, Tubular". Here you'll find over 350 pages of free information, articles and resources for trombonists and other musicians. Here you will find information about mr. Mechmets' performance schedule, recordings, transcriptions and arrangements. Also check out the links section to find great resources for purchasing sheet music, music equipment, artist pages, music festivals, relevant blogs, and other valuable music related information! This website is one that I find myself browsing at least once a week. Mr. Oft's blogs are clear, direct, concise, factual and logical. If you aren't familiar with his work, take a few hours to browse through his blogs and articles. Great pedagogical applications. 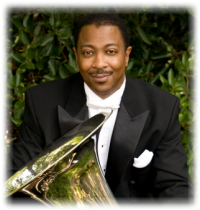 Through a series of interviews with many of his former students, TubaPeopleTV (TPTV), hosted by University of Oregon tuba professor, Michael Grose is dedicated to highlighting the pedagogy and professional stature of longtime Chicago Symphony principal tubist, Arnold Jacobs. 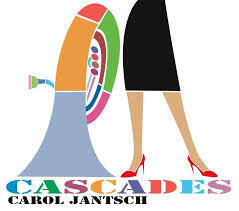 A must watch program for the serious tubist! Guillermo Figueroa is the newly appointed director of the Santa Fe Symphony. Aside from his recent appointment, he is also the Artistic Director of The Figueroa Music and Arts Project, an innovative organization that combines music with other art forms. He is also the Music Director, and Conductor of the Lynn Philharmonia, and is also Music Director of the Music in the Mountains Festival in Durango, Colorado. Additionally, he was the former Music Director of both the New Mexico Symphony and the Puerto Rico Symphony. One of the leading blogs of today, The Bullet Proof Musician is the place for all topics related to music and performance. If you, or someone you know struggles with performance anxiety, this is a great place to look for assistance. TubeNet is a site dedicated to bringing you the latest news and articles about tubas and the people who play them. Thrilling audiences with more than 200 performances each season, the MET Orchestra is one of the world's great performing ensembles, both on stage and in the opera pit. 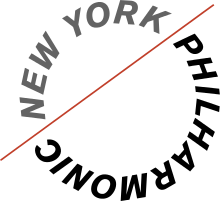 Since its founding in 1883, the MET Orchestra's performances have encompassed not only the entire opera repertoire, but symphonic and chamber programs at Carnegie Hall, international tours, and countless musician activities outside of the Metropolitan Opera House. 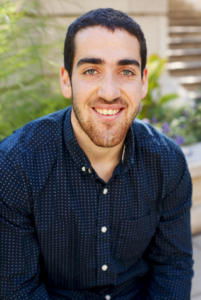 Nate Zeisler envisions a world where students majoring in the arts have a clear path to a sustainable career, where creative minds are empowered and inspired to rule the workforce, and where access to the arts is not just for the privileged few, but for all. 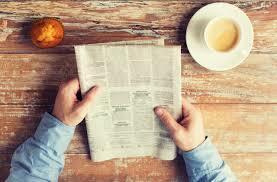 This is one of my favorite blogs, especially for the aspiring entrepreneur. 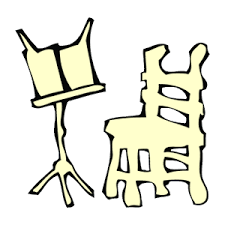 Musical Chairs is one of several sources of online jobs, courses and competition postings. "The world's most extensive list of job auditions" The audition cafe is the newcomer on the block, but it is already taking the music scene by storm. Developed by my friend and Yale graduate Kevin Schaffter, the audition cafe is a one stop shop for any performance job hunt. The Audition Cafe tuba audition facebook page.